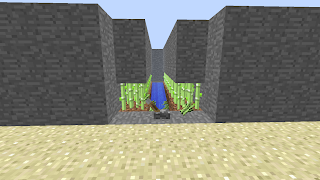 The pistons push the sugar cane into the water where it all collects in a pile. 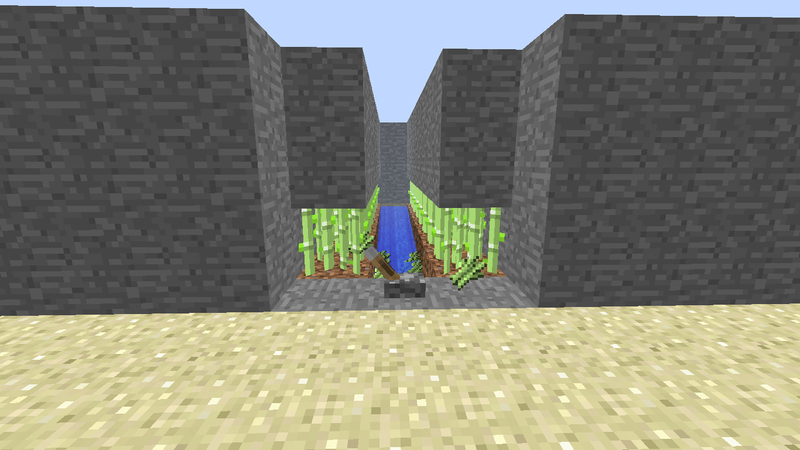 Why build a sugar cane farm you ask? 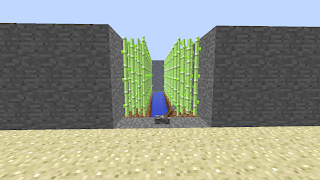 The example shown above is an example of a three story manual sugar farm. 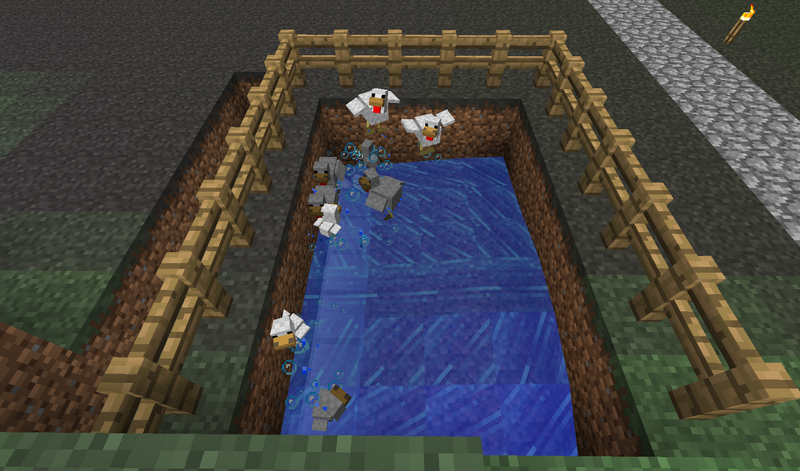 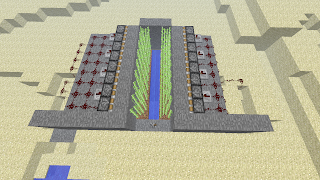 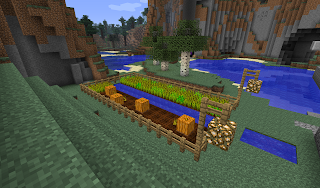 Automated farms use redstone wiring and water flows or pistons in order to farm vast areas in just the push of a button or the pull of a lever, however these farms can often be unsightly and complicated to construct. 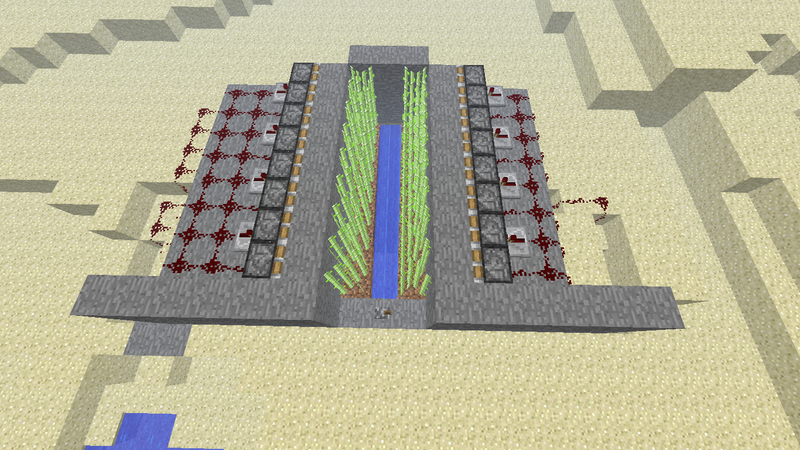 Manual farms often look preferable to the their automated brothers. Manual farms can be constructed relatively quickly and do not need any complex wiring, however you might have to get your hands dirt because these crops won't harvest themselves. 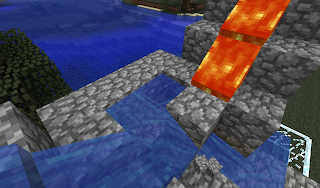 If your tired of being in those dangerous and cramped tunnels, and all you need is a little stone, the cobblestone generator is for you. 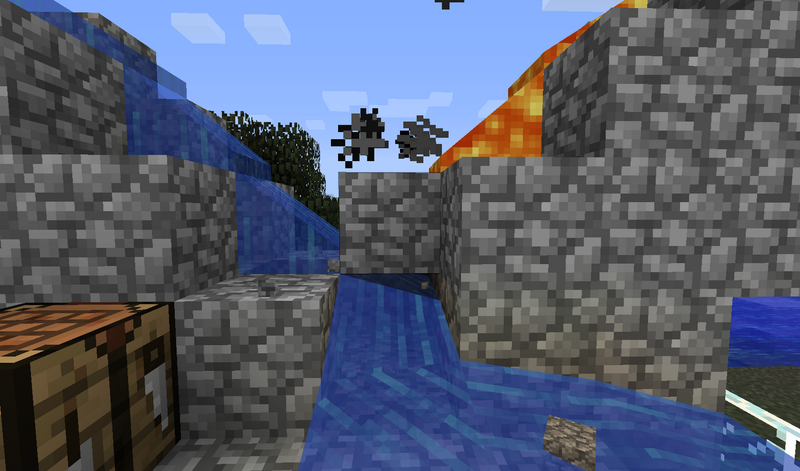 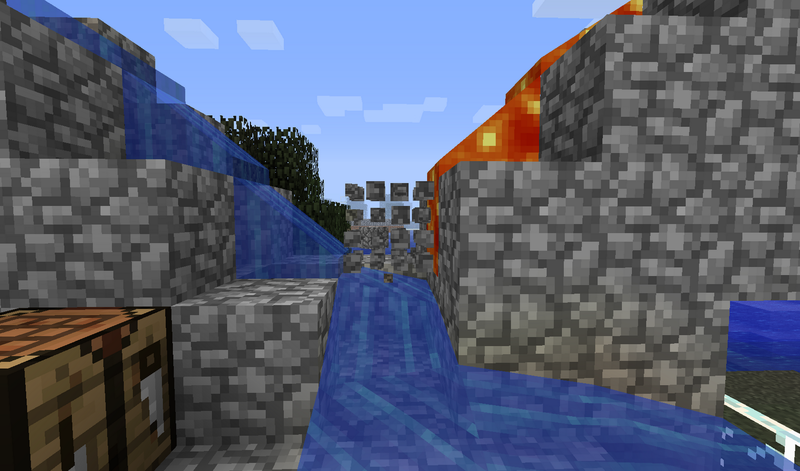 This handy method of farming rock only needs to things to get started; a flow of lava and a flow of water, where the two flows meet cobblestone is made. Using a pickaxe the stone is easily mined without having to dig a hole in the ground and climb endless ladders. 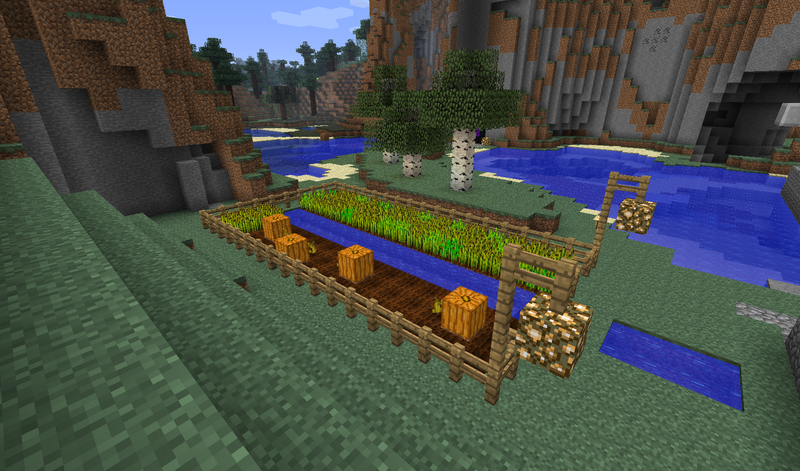 The supply is limitless so the landscape isn't ruined too. 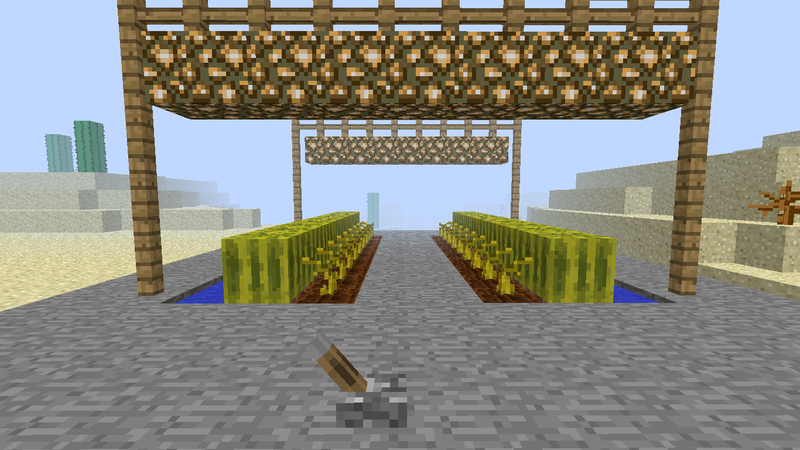 A collection bucket means the farmed stone isn't just washed away. Using half slabs a collection point is made, this because the water will not flow through the half block space but eggs can be picked up through it. 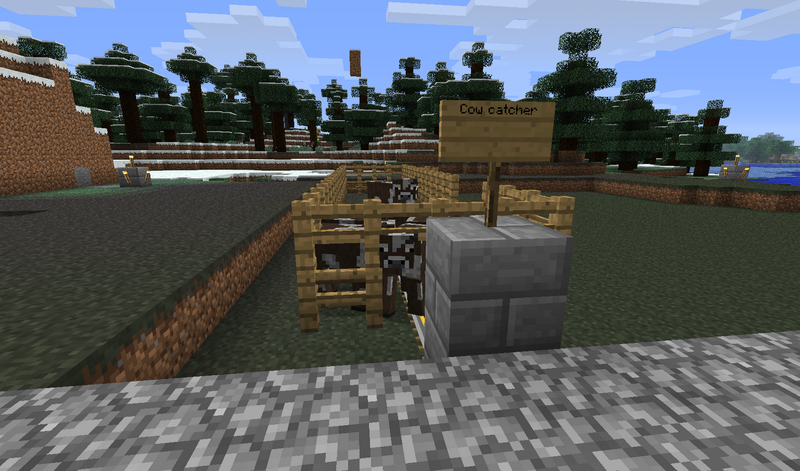 If your can't wait for that new leather jacket but don't have the time to find and catch your own cows try building a cow catcher. 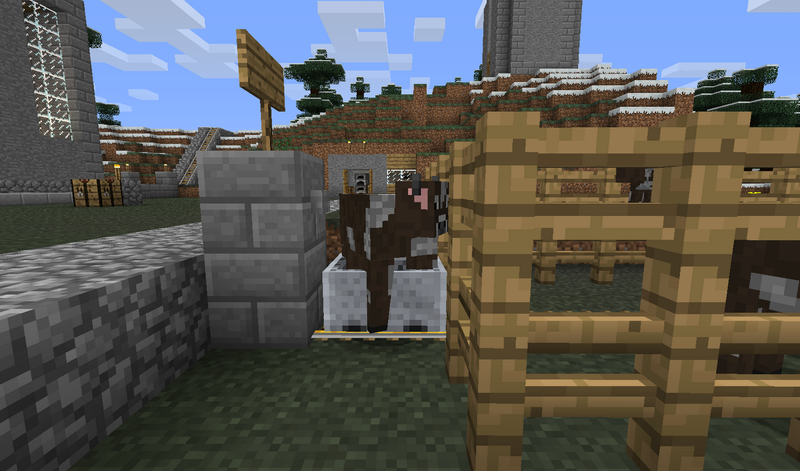 Using a powered mine rail to push the cart a cow can be captured. 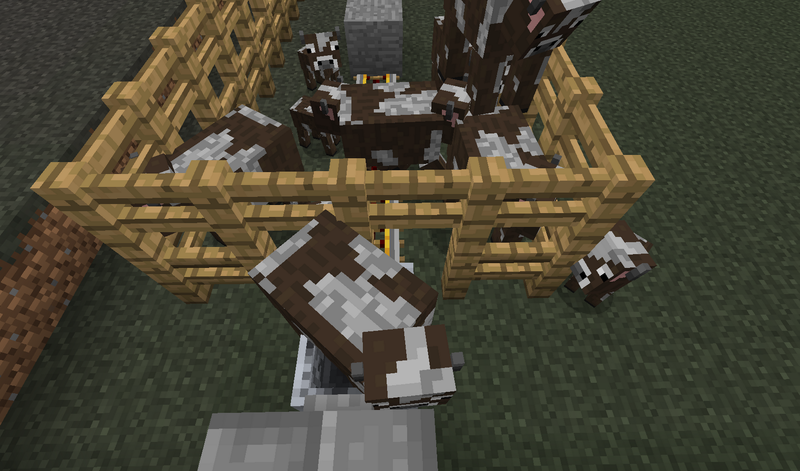 When the cart enters the pen through the fence gap it catches a cow and is pushed back out when it hits another. The cow cannot escape and can be dispatched of (humanely with a sword of course). In order to ensure the cow catcher operates effectively the pen must be filled with cows, and it must be at least two fences high in order to stop cows jumping out. 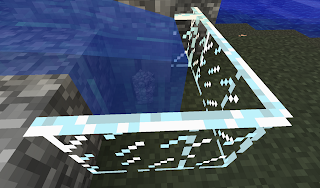 can it capture other animals like chickens or pigs.also can it capture enemies? 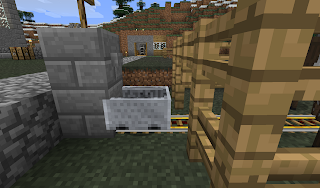 how do the powered rails work? i haven't yet been able to get them to work. please help!!! They have to have a power supply going to them maybe a redstone torch underneath or next to it. 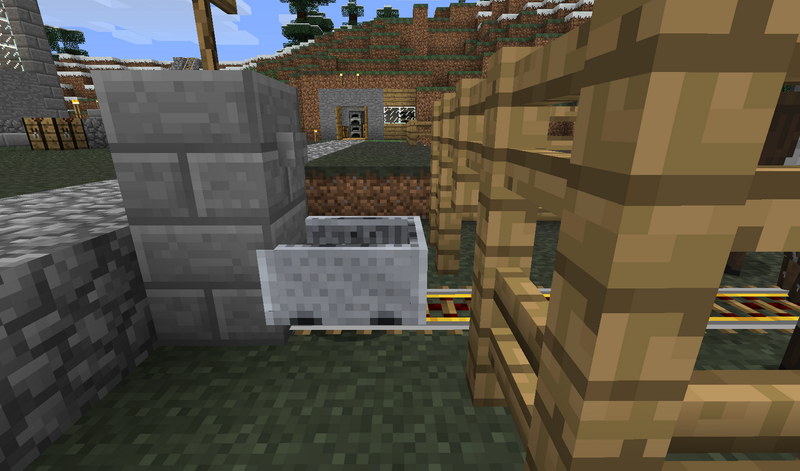 also you can put a piece of track that is weight activated to power the rails infront. 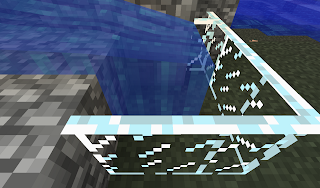 hope this helped. 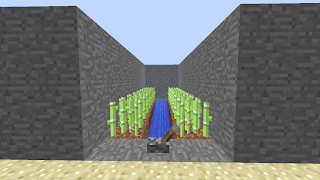 if not reply to this and i will post a pic of what i mean. 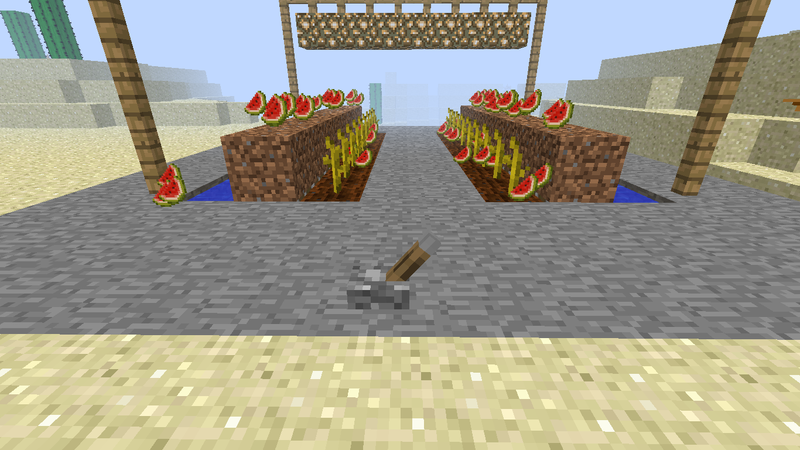 place a red stone torch next to the rail. 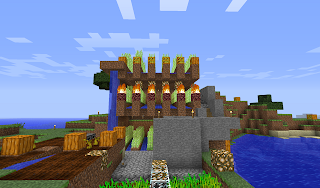 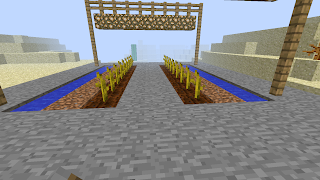 Powered rails work by setting them down on a solid block and putting a redstone torch beside it or putting redstone connecting the rail to a button, or by using detector rails on both sides of the powered rail vertically. 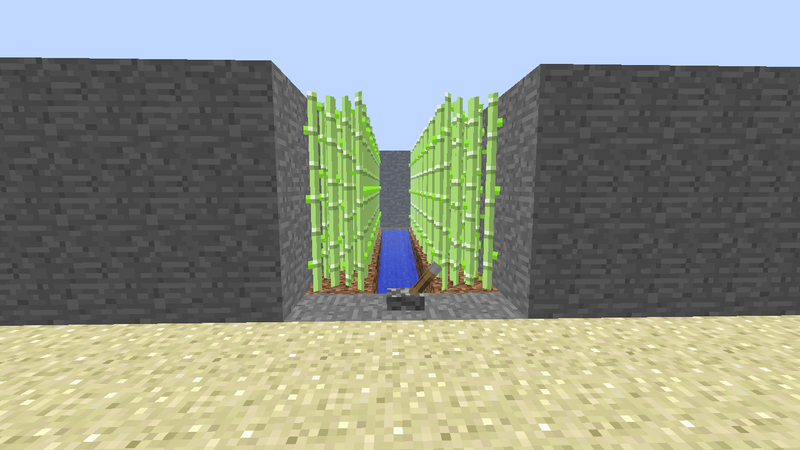 If you don't understand, look at pics, videos, or http://minecraft.gamepedia.com/Minecraft_Wiki. 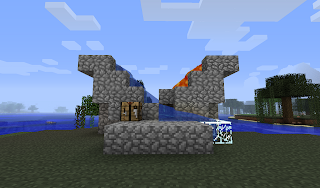 Yeah one day. 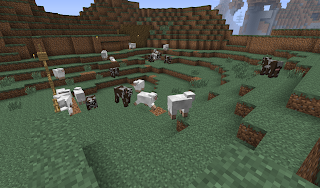 which ones are you interested in? 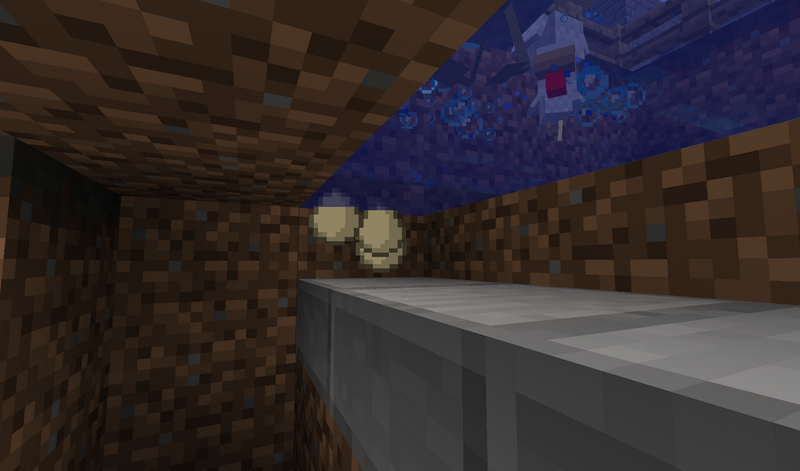 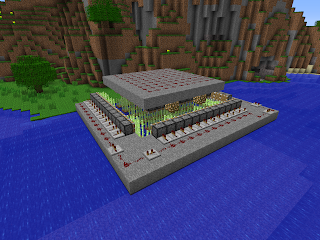 the melon farm appears to just be a row of pistons placed under the dirt blocks. wire the pistons to a button/switch and when it extends it'll break the melons into slices. 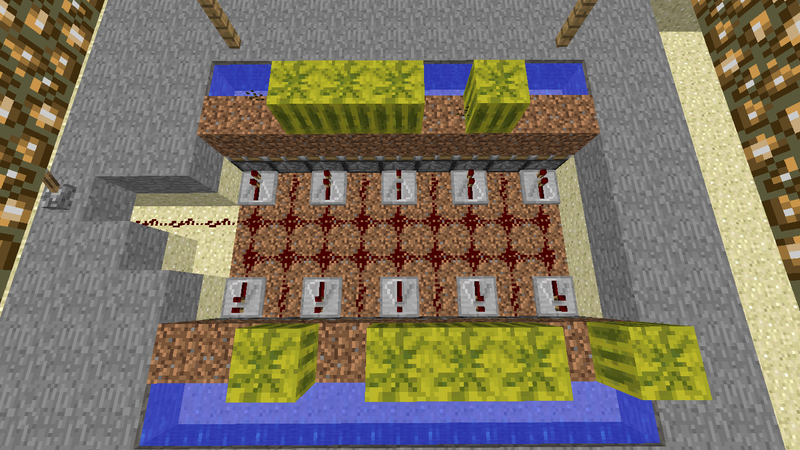 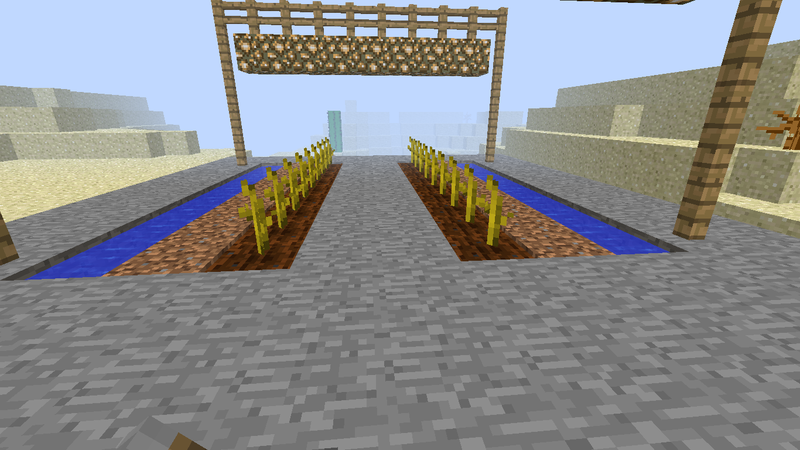 make sure you only have one row of dirt next to each melon stalk so the melons stay on the blocks wired to the pistons.